Check out these tips on how to improve and lower your time on the CrossFit Fran workout. 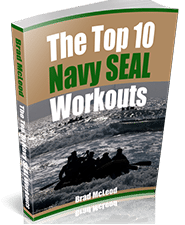 It is considered to be one of the 10 hardest CrossFit workouts. Try it and see for yourself. Tip #1. Do a walk through of the Fran workout at half speed and get the feel of the barbell and pull ups combined. Tip #2. Go for max number of pull ups in one bar session. Staying on the bar will be a key skill to have as dropping from the bar will cost you time. Question: How can I protect my hands and keep them from ripping on high rep pull up workouts? Check out the WODFitters Hand Grips to protect your hands. They are easy to take on and off during a workout and you will barely notice that you have them on. Tip #3. Learn the kipping or butterfly pull up to lower your time. Butterfly is fastest. Tip #4. Do the workout at full speed for time. If you stop on thrusters or drop to ground on pull ups – note your rep count. Tip #5. Come back fresh and do workout with lower weight (try 75 or 55 lbs.) until you can do all reps unbroken. Question: My hands already have some blisters and starting to crack. What can I do to repair them and get ready for the next workout? Check out the W.O.D.welder Hand Care Kit . This will help soothe your hands and repair the cracks and dry skin and get you back in the workouts quickly. Tip #6. If pull ups are broken (you come off the bar) then perform as jumping pull ups or Australian. Build endurance by staying on the bar. Tip #7. Breathe deep and out as you press weights or come up on pull ups. This workout is highly anaerobic and breathing will be key. Tip #8. Work hard to focus the mind and block out pain. This is a short intense workout and mental focus is key. Tip #9. 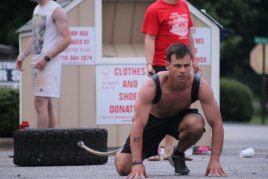 Work grip strength with fat bar pull ups, axle bar deadlifts, sand bag carries and farmers walk. Grip strength is key for staying on bar. Tip #10. Check out Kelly Starrett’s pull up video for pointers on how to improve your form on pull ups. 11. Put on some good music and have your buddy time you, count reps and cheer you on. Good Luck! A good time for Fran would be…. Question: “Coach, What are some tips for the Fran workout?” Check out the tips above. Question: How to lower your Fran time? Getting warmed up properly and breathing are the best tips. Question: how low do you really have to go for a crossfit thruster? You have to go down until your knees are parallel. Fran time 6:30 scaled to 70lbs.